I can go on and on talking about tips and tricks. None of these theories will be useful if you don’t pick up your pen and paper and start to build a habit. The people I taught all told me the same thing- it’s good to start with meeting notes. Almost everyone goes to some sort of meetings. Prepare beforehand and add reflections afterwards. 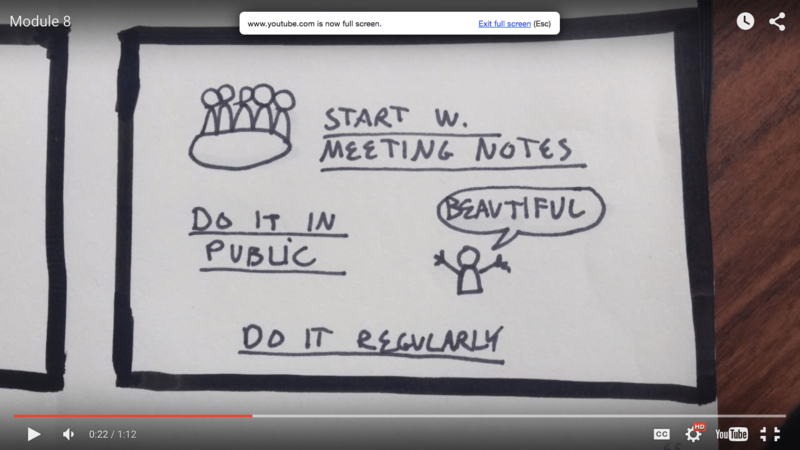 You should also try to share your notes with others, say, other meeting participants. The appreciation you experience will be a powerful form of encouragement. Lastly, whatever you do, keep doing, keep practicing. That’s all! GET STARTED! Return to these tutorials when needed. Beautiful in every posible way! Thanks for being so clear in times when speed rarely allows us to! Looking forward for a cup of coffee in NY!